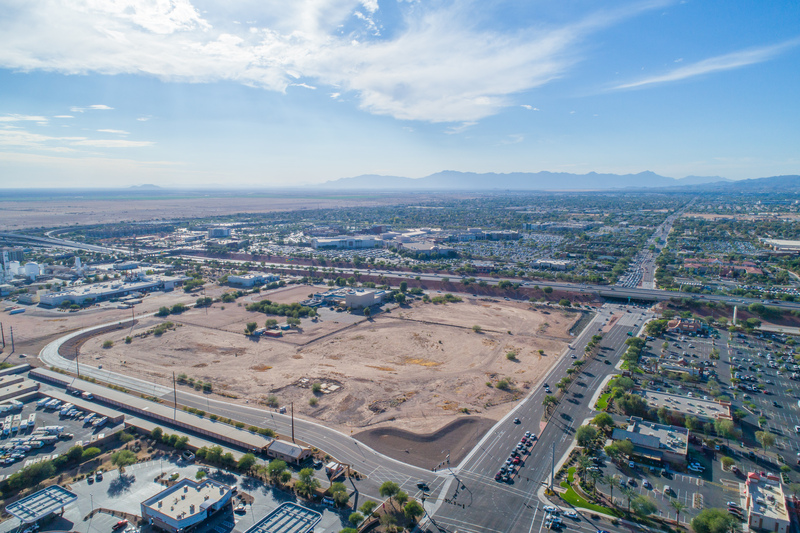 Chandler – A prime parcel at the southeast corner of Chandler Boulevard and the 101 Loop in Chandler that was previously targeted for nearly 1 million sq. ft. of office buildings has been acquired by a Phoenix developer for less than half of the price the seller paid to acquire the property more than a decade ago. VanTrust Real Estate LLC in Phoenix now owns the 20.28-acre parcel after paying $12.22 million ($13.83 per foot) to buy the site. The seller was RG-101 LLC, formed by Rockefeller Group Development Corp. in Phoenix, which is an affiliate of The Rockefeller Group in New York City, N.Y. The sale was brokered by Phil Briedenbach, Paul Sieczkowski, Rob Martensen and Kathy Foster of Colliers International Inc. in Phoenix. Maricopa County records show PHO Chandler 101 LLC (VanTrust entity) acquired the property in a cash transaction. After paying $25.98 million ($28.63 per foot) to buy the acreage in November 2007 and holding the land for almost 11 years, Rockefeller Group threw in the towel and gave up on developing the site. The company’s plans for 101 Chandler with 933,700 sq. ft. of offices in three buildings of 8 to 10 stories, two restaurants and 10,400 sq. ft. of retail space likely will be replaced by a project with a greater variety of uses. VanTrust’s basis in acquiring the land for less than half of what the previous owner paid will allow the company significant latitude in being able to deliver buildings with larger floors and more retail and restaurant options than what was previously contemplated. While the highest and best use for the site is still up for discussion, there is no question about the property’s value given its premium location adjacent east of the Chandler Fashion Center regional mall and the parcel’s frontage along the Loop 101 (Price Road Freeway). VanTrust representatives are already getting calls from interested parties. “We are excited about the inquiries we have already fielded,” says Keith Earnest, who heads up the Phoenix office for VanTrust. “We have not settled on a master plan for the site. The market will dictate what eventually gets built.” What the market brings could be an initial phase build-a-suit of a single office structure, a corporate office campus with multiple buildings or a mixed-use project that may include office, retail, hotel and multi-family components. Having no debt service after paying cash for the dirt, VanTrust does not have a clock ticking that could influence the company to make something happen in short order. Time will tell what comes to be, but companies wanting locations that allow options for live, work and play fits in well with a site that has been described as the “Gateway to Chandler.” VanTrust, which has developed multi-family, industrial and office projects in the Valley over the past year, is most likely to build a mixed-use complex on the newly-acquired Chandler land. After holding onto the property for so long, it is a surprise to some Phoenix-area real estate executives that the deep-pocketed Rockefeller Group would choose this time to sell the acreage. The Rockefeller Group, is a wholly-owned subsidiary of Mitsubishi Estate Co. Ltd., which is one of the world’s largest real estate investment and development companies. In marketing the tract, the Colliers agents embarked on a nationwide initiative, identified several perspective buyers and then engaged in a highly-competitive series of negotiations with multiple finalists before accepting the best and final offer from VanTrust. Representatives of Rockefeller Group did not return multiple calls from BREW seeking comment on the company’s strategy in deciding to part with what turned out to be excess land. In 2006, BREW reported Rockefeller Group Development Corp. planning to ramp up its investment and development activity in the Valley after taking a two-decade break from making direct investments in the Phoenix area. Over the past dozen years, BREW reported the company developing numerous office and industrial projects and partnering to develop multiple apartment communities in the Southeast Valley. Since 2014 when Earnest was hired as executive v.p. to run the Phoenix office for Kansas City, Mo.-based VanTrust Real Estate (David Harrison, pres. ), the company has built a diversified portfolio in the Valley. Two miles west of the newly-acquired site in Chandler, VanTrust recently completed development of a 117,176-square-foot office within the Chandler Corporate Center business park. That two-story office at 350 N. McClintock Drive is part of a 26.7-acre parcel that wraps the northwest corner of Chandler Boulevard and McClintock Drive. VanTrust acquired that property in 2016. Briedenbach is leasing the newly-built spec office and VanTrust plans to use the remaining 14 acres of that tract to develop another spec office of about 80,000 sq. to 100,000 sq. ft. and 2 to 3 acres of retail pads along Chandler Boulevard that are suitable for about 10,000 sq. ft. of retail shops and restaurants. Last year, VanTrust opened the 230-unit Peak 16 apartments that the company developed at the southeast corner of 16th and Colter streets in Phoenix. In early 2019, VanTrust intends to start development on a 600,000-square-foot industrial facility about two miles south of Interstate 10 at the northwest corner of Van Buren Street and Perryville Road (187th Avenue) in Buckeye. That distribution building is being developed in the first phase of a 2.3 million-square-foot industrial park planned for a 151-acre tract that VanTrust purchased three years ago. VanTrust has also been active in Southern Nevada, developing more than 5 million sq. ft. of e-commerce and general distribution facilities in the past 2 ½ years. Larry Van Tuyl, who is the principal of VanTrust, has long been an owner of real estate in the Valley. VanTrust’s ownership and capital base has been associated with Van Tuyl Group, which had been the nation’s largest privately-held automotive dealership group until March of 2015 when the portfolio of dealerships were sold to Berkshire Hathaway Inc. (NYSE:BRK, Warren Buffett, chairman). Find out more from Earnest at (602) 732-4220. 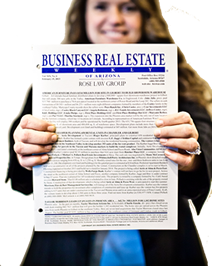 Talk to Mark Singerman of Rockefeller Group Development in Phoenix at (623) 930-5082. Call the Colliers agents at (602) 222-5000.